Dolby Atmos, Auro 3D, DTS:X: 3D Audio – What's The Difference? Overwhelmed with immersive sound options? Dolby Laboratories, Auro Technologies and DTS present their very own simplified guides as to how to properly set up their 3D audio systems – advising on configurations, recommended products and how to make the most out of their home cinema sound offerings. Stephen Auld, senior manager, broadcast and licensing at Dolby shares how 2016 been for the take-up of Dolby Atmos. This year has been a milestone year for Dolby Atmos. There are more than 600 Dolby Atmos screens committed to, or installed in cinemas across the EMEA region thanks to commitments made by many of our cinema partners such as Vue, Cineworld, Cineplexx, VOX and Pathe. This improved availability – twinned with the fact that more studios are now mixing more movies in Dolby Atmos – will mean more cinemagoers will have the opportunity to watch the latest movie releases in Dolby Atmos. For the home, we have also seen Dolby Atmos-enabled soundbars enter the market. Soundbars from partners such as Samsung, Yamaha and Gibson mean that consumers now have more options than ever when it comes to Dolby Atmos-enabled home sound systems. Dolby Atmos also arrived in two video games this year: EA’s Star Wars Battlefront and Blizzard’s Overwatch. Dolby Atmos has not traditionally been included within video games, so this is an important step. Finally, it is not only in the cinema and home where we have seen Dolby Atmos become more readily available to consumers: this year we have announced a number of partnerships in the mobile device and VR space, meaning that consumers can experience Dolby Atmos across a whole new range of platforms. Lenovo has added more tablets to its Dolby Atmos enabled range, and in a recent announcement we launched the world’s first cinematic VR portal with Jaunt, which will feature a library of content mixed in Dolby Atmos. How does Dolby Atmos differ to other 3D sound formats? Dolby Atmos stands out as it gives the film producer the ability to reproduce up to 128 simultaneous audio objects in a mix, as opposed to the one single channel of sound. With Dolby Atmos, sound moves around you in a 3D space, filling the room and flowing all around you with breath-taking realism to create a powerfully moving entertainment experience, unlike no other. Comparatively, (to other 3D sound formats) a key strength of Dolby Atmos is the support from the Hollywood and international studios. So far we have support from Lionsgate, Universal, HBO, Sony, Warner Bros., Paramount and Fox. There are over 125 HD and UHD Blu-ray titles with Dolby Atmos soundtracks (globally). A growing number of titles can also be accessed using over the top (OTT) services in Europe and the US. The setup and installation guidelines for Dolby Atmos will differ greatly depending on the desired Dolby Atmos installation and existing home theatre set up. Broadly speaking, there are three component parts to Dolby Atmos set up, including: Dolby Atmos enabled A/V receivers (AVR), surround sound speakers (including subwoofer) and Dolby Atmos enabled up-firing speakers. Devices such as the Dolby Atmos soundbar would represent the easiest to set up, as they combine the AVR, listener level speakers and up-firing speakers all in one box. It is also relatively cost effective and easy for consumers to upgrade from a traditional 5.1 or 7.1 surround sound system to Dolby Atmos. In this instance, a consumer can simply purchase Dolby Atmos up-firing speakers as modules, sitting on top of the existing speakers – assuming the AVR is already Dolby Atmos-enabled. There are also many complete Dolby Atmos home theatre systems, including all elements listed above, in one box, which represents great value and ease for consumers starting their Dolby Atmos journey. What set-ups are possible with Atmos? There are many possible variations of Dolby Atmos home theatre installs, from a conventional 5.1.2 configuration all the way up to 24.1.10. However, most of us are restricted by space. The size of the room plays a big part of each configuration. Traditional configurations in the UK include: 5.1.2, 5.1.4, 7.1.2 or 7.1.4 – the final .2 or .4 indicates the number of upward-firing Dolby Atmos enabled speakers or modules for overhead sound. We have various guides online that will help consumers plan the right system for the room, with tips on choosing the type of system, including speakers, AVRs and TV. A surround sound system, the biggest HDTV or UHDTV you can manage and a broadband Internet connection. Room acoustics can affect your sound almost as much as your component choices can, and the decor of the room you choose for a home theatre affects the acoustics. You can do a few things to help: If you have hardwood floors, try placing some area rugs directly in front of the speakers; Close the drapes when you’re watching or listening; Use bookshelves – with books – to help tame reflections. Set up a clear line of sight from speakers to listening seats; Have some people over – physically speaking, we’re great absorbers. If you’re lucky enough to have a room dedicated to your home theatre, you have a lot more control. Balance hard and soft surfaces – for example, compensate for a hard ceiling with a carpeted floor. Pull your front speakers further into the room than your TV, experiment further with speaker placement and consider specialised room-tuning components, such as wall diffusers and bass absorbers. Although most are not visually attractive, they can work wonders for your sound. Home-theatre-in-a-box system: Usually comprised of five surround sound speakers, a subwoofer and a disc player/amplifier. Sold as a unit in one box (hence the name), it includes all wiring. Soundbar: A long, thin bar containing several loudspeaker drivers. Many models include a separate, usually wireless, subwoofer. Component system: An audio/video receiver, speakers and any source components (such as a disc player). Component separates: Component systems that replace the receiver with a separate preamplifier/processor and power amplifiers. How should an installer (and in turn, the customer) make the most out of a Dolby Atmos system? We recommend using four Dolby Atmos enabled speakers, modules or overhead speakers if possible. This will deliver more precisely located and realistic overhead sounds. Dolby Atmos and Dolby Audio technologies elevate the overall performance of soundbars and add important features. Soundbars combine superior audio capabilities and ingenious design into a sleek and unobtrusive package. The benefits include: Plug-and-play setup, with minimal wires or a wireless connection, richer, clearer, more powerful sound than TV speakers and seamless integration with room aesthetics. What product options are available for home theatre enthusiasts? Dolby Atmos is now supported across a range of devices; from mobile to the full home theatre. Dolby Atmos for mobile devices adapts the premier cinema sound experience for reproduction over headphones. Partners such as Lenovo, ZTE and Amazon have a range of devices that are Dolby Atmos-enabled. For consumers wanting to replicate the cinema experience in the home, but do not want to invest in a full home theatre set up, there are a number of Dolby Atmos soundbars from a range of partners. For those wanting to build the full home theatre experience, Dolby Atmos is highly scalable: adding more speakers to a Dolby Atmos system increases the precision of the audio placement. The technology also enables overhead sounds that enhance realism and make the sound more expansive. Overhead sounds can be produced by either overhead speakers or special Dolby Atmos-enabled speakers that fire sound to the ceiling so it is reflected back down as overhead sound. Which Dolby-Atmos products have been popular in 2016 with home cinema enthusiasts? 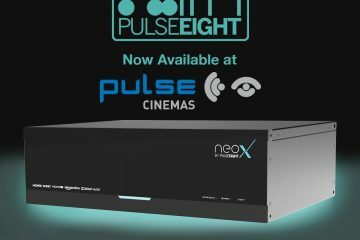 There is now a greater choice for consumers looking to recreate the Dolby Atmos cinema experience in their home or on the go. In terms of products, the Samsung HW-K950, Yamaha YSP-5600, LG Signature/OLED 4K TVs (65G6), Lenovo TAB3 devices, Huawei MateBook and Philips Fidelio Soundbar, are all popular in their category. Why do you think Dolby Atmos has seen such traction over the last few years? Globally we now have more than 1,900 Dolby Atmos screens that have been installed or committed to in more than 60 countries with more than 250 exhibitor partners, so more and more people are now able to experience the latest movies in Dolby Atmos. Currently we have a total of 1,842 screens installed with Dolby Atmos, with 126 still pending/in the works. We have been working closely with the major studios to ensure that more and more of the latest film releases are available in Dolby Atmos. Since the first film debuted in Dolby Atmos in June 2012, more than 500 films from 17 different countries have been, or are scheduled to be released. Which Blu-ray titles are available in Dolby Atmos this year? This year we expect the release of over 90 Blu-ray titles featuring Dolby Atmos (worldwide). Titles such as Game of Thrones – Season 6 (see CE Pro’s review of series 5 here), Suicide Squad, The Legend of Tarzan, X-Men Apocalypse and Deadpool have all been released in Dolby Atmos on Blu-Ray this year. Wilfried Van Baelan, CEO, Auro Technologies lets CE Pro know what Auro 3D can do. How has 2016 been for the take-up of Auro-3D? For a small company like Auro Technologies, it’s really amazing what we have achieved so far to get Auro-3D established as the leading immersive sound format in many different industries all over the globe. Auro-3D is designed to share the best immersive sound experience, everywhere to everyone. 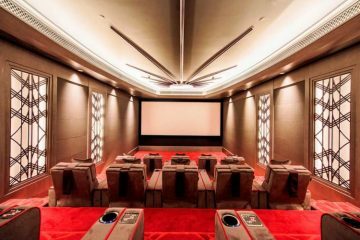 This means not only in cinema theatres or home cinemas, but also on the move. For instance, we are working closely now with some top brands in the mobile industry. Some mobile phones have already been launched using Auro-3D technology, of which in just a few weeks, the first hundred thousand are sold. The feedback has been amazing: Journalists said that the Wiko Robby is “the best sound ever on a smart phone.” Micromax (the second leading brand in India, after Samsung) also uses Auro-Matic, our upmixing algorithm that turns each song into an immersive experience, although the source is just a common standard stereo source. Auro Technologies works with Barco to bring the Auro-3D format to theatres across the globe. The current count of Auro-3D enabled theatres continues to grow and interest continues to build. Thus far, however, we’ve managed to get commitments/installations from over 600 theatres around the world, which is extremely exciting! In the meantime, more than 200 movies have been released in Auro-3D, becoming an established format in the cinema industry. We had a very successful introduction in the automotive industry recently with Porsche announcing that it has integrated Auro-3D technology into its new Panamera model with the Burmester High End Immersive Sound system. The feedback from journalists was, again, “the best sound experienced so far in a car.” It is offering a complete new driving experience! Last but not least, VR and gaming are important for our company and we are proud to be part of the game project GET EVEN (in partnership with Bandai Namco & Farm 51) using the Auro-3D headphone-technology, combined with the Wwise Audio middleware. There are many more to come, too! How does Auro-3D differ to other 3D sound formats? First of all, let’s establish that this question is about immersive sound (i.e. sound in 3D), which is adding the height layer (the missing third dimension) and not about surround sound, which was often wrongly marketed as a 3D sound format because it uses only a 2D horizontal plane of speakers around the audience. After myself – the inventor of the Auro-3D format – referred to it as “immersive sound,” it became the new generic term also used by Dolby Atmos and DTS:X. There are many differences, not only from the “quality” of the immersive experience but also how “compatible” the content can be experienced “everywhere as intended by the creator or creators.” Another difference is the “efficiency,” meaning the easiness of the installation or integration in existing formats and hardware. The above mentioned topics are where the Auro-3D format is making the difference. One example is that our speaker layout, combined with our technology, is able to reproduce a much more natural sound compared to others. The closer it is to natural sound, the more immersive the experience. This immersion has to do with the way the speakers are installed. For instance, we have a vertical stereo field on-screen which can deliver much more transparency and depth coming from the front channels – still the most important part of the sound reproduction. We also have a three-layered system (while Dolby Atmos has only two layers) that gives a much more natural spread of sound in the vertical axis (key to a natural immersive sound experience) with much more precise localisation which can be achieved without the use of object-based technology, which we only use where it makes sense. Typically, there is always a place above the corner speakers of a 5.1 surround sound system. Just adding Auro-3D’s unique quadraphonic height layer of four speakers (Auro 9.1) with an angle of at least about 25° is enough to have the typical Auro-3D experience. This means that consumers don’t need to install the speakers in the ceiling like our competitors’ format. A key element of a good immersive sound experience is the vertical angle. When that angle is more than 30° above the ear-level existing surround layer, the natural coherence in the vertical axis starts to disappear, resulting in less natural sound. Auro 9.1 is what we suggest to install in small home theatres because the “Voice of God” channel can be created as a phantom source in the height layer when the room is not large enough. Many people believe that sound coming from above is key to get a natural immersive experience, but that’s not the case – most source sounds and their important 3D reflections are exactly between the ear-level and Auro-3D’s unique height layer. Additionally, humans are much less sensitive to sounds coming from above; we don’t have an ear on the top of our head, probably because thousands of years ago, enemies were not coming from above us! But for larger home theatres or theatres with more than one row of seats, we advise adding the third layer (“Voice of God” channel) to keep a natural spread of sound in the vertical axis, which is key to achieving a natural immersive sound experience. Auro 10.1 is the most efficient three-layered speaker layout that can reproduce a true 3D space based on a 5.1 system. What set-ups are possible with Auro-3D? Everything starts with Auro 8.0, which are two quadraphonic layers above eachother, but of course it is missing the centre and LFE speaker of the 5.1 system which are crucial for playback of movies; therefore we advise on installing at least an Auro 9.1 system. Auro 11.1 became the preferred choice by our partner Barco for the cinema industry because it adds a height centre channel on screen, with six screen channels in two vertical planes, delivering the best screen sound of all immersive formats on the market today. Also, it’s important to remember that about 80% of the sound energy of a movie is coming from the screen, so it really makes sense to prioritise that sound quality, which we did in the Auro-3D format. The typical gap between the front and surround channels with 5.1 surround suddenly disappears when the Auro-3D height layer is installed. So the need for Auro 7.1 for the home is much less important if Auro-3D is installed. But for people who already have a 7.1 installation, they can choose Auro 13.1 which is based on a 7.1 surround sound system. This can be achieved with channel-based sound alone, which has many advantages in the sound quality and its immersive sound experience. We can further improve it using our object-based technology (called AuroMax) but it only makes sense if at least 20 individual amplified speakers (like AuroMax 22.1 or 26.1) are installed, which is not typical for a home cinema setup. An Auro-3D system, in most cases, is used in addition to an existing system/setup, so to start it’s always a good idea to see what equipment is already present. The height layer and/or the overhead speakers do not need to be as powerful as the main screen channels, but it’s important that those channels have a similar timbre, for which we advise looking into speakers from the same brand, which avoids having different “colours” when the same sound sources are moving between the vertical layers. The installer should follow the Auro-3D specs as best as possible. Auro-3D configurations are easy to set up as a ceiling speaker is not an obligation, and thus minimises the need for undertaking in-home construction work for installation. Think of it more as an “added bonus” if the resources are available. What are common questions that installers (or customers) ask about setting up an Auro-3D system? One of the most popular questions is how to combine an Atmos and Auro setup, as people often want to combine both. What they don’t understand is that it kills the Auro-3D experience, while the difference in Atmos is almost not noticeable. That’s because Dolby Atmos at home is based on a 2D surround sound 7.1 system with object-only in 3D, while Auro-3D has a full 3D space with channel-based sounds, which allows it to reproduce original 3D reflections. These are crucial for our brain to analyse the sound field (distance, timbre and localisation). When the angle in the vertical axis becomes larger than defined by our specs, this natural vertical coherence starts disappearing. Since the “object-based sources” of Dolby Atmos are only “mono” sources which don’t have these natural 3D reflections, the exact localisation of those objects is very often not so sensitive. For that reason, you find many consumers test content playing back over both speaker layouts, and they find that Dolby Atmos plays back very well over Auro-3D speaker layouts, but not vice versa. It is much better to choose an Auro-3D speaker layout rather than making a bad compromise, in our opinion. We have a variety of hardware partners, like Denon, Marantz, Datasat, Trinnov, Steinway & Lyngdorf and Macintosh, which integrated the Auro-3D engine in their devices, which includes the Auro-Matic. We also have our own high-end hardware division with the Galaxis Audio and StormAudio brands. There’s really a very wide variety of equipment across many price ranges, resulting in format support across multiple price tiers (thus appealing to multiple budget options). It is best to check directly with the specific AVR makers for pricing. Which Auro-3D products have been popular this year with home cinema enthusiasts? The Denon AVR-7200WA has been a huge success in many different markets. 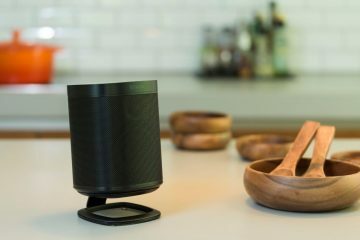 It was one of the first Denon devices that was issued with the Auro-3D upgrade and the public has since embraced the device. The way Denon implemented the Auro-3D format in their own way was loved by many people in the AVR-enthusiast community, in particular. However the biggest surprise is when people find out what AuroMatic is doing; how amazingly it creates a totally new immersive sound experience from all their favourite movies and music they have at home. Which titles will be available in Auro-3D this year on Blu-Ray? The list of new releases on Blu-ray discs this year include the classic The Texas Chainsaw Massacre, which is our first title in UHD Blu-Ray. But Auro-3D became very popular as a format for music in 3D due to various different reasons. We are the only immersive sound format that can reproduce a 3D space in Hi Res audio (like 96kHz) in all channels, while the competition can only do the height channels in 48kHz. Additionally, Auro-3D is the only immersive sound format that can support the mastering process – which is key for pop music. Having the same sound experience as intended by the creators is another reason why composers and artists like Auro-3D. A few examples of recently released material are George McCrae and Roger Shah. We also have a couple of future content releases in the pipeline from label partners 2L and Sono Luminous. Joanna Skrdlant, general manager, Home Audio & Solutions Licensing, DTS, Inc talks CE Pro though its 3D audio offering. How has 2016 been for the take-up of DTS:X? This year has been very exciting for the adoption of DTS:X. The first firmware updates for AVRs began earlier this year and firmware updates continue to come out from our partners. By the end of August, we had released DTS:X with manufacturers who represent more than 95% of the market. We expect the growth of the format to continue based on the incredible experience it delivers, as well as its flexibility to fit within virtually any viewing space. More than 120 theatres worldwide are equipped to exhibit films in DTS:X sound. We’re thrilled at the momentum in just over a year since the first film was exhibited in DTS:X and look forward to more and more theatrical titles coming out. How does DTS:X differ to other 3D sound formats? DTS:X is the next generation audio codec from DTS that leverages object-based audio to enable new audio experiences in immersion and interactivity. A key attribute of DTS:X technology is flexibility. As DTS:X doesn’t require a specific speaker layout, home theatre owners can arrange their system the best way to fit their space. This also means that DTS:X supports other immersive formats’ speaker layouts, giving consumers freedom to choose their favourite layout. It’s also backward compatible, so Blu-rays with DTS-HD Master Audio sound incredible. DTS works with our AVR partners to provide detailed set up instructions to end-users. The most relevant information provided is around valid speaker layouts, which is already built-in to the setup process for all products. In essence, DTS:X is so flexible that it allows consumers the freedom to choose from a plethora of layout options, a subset of which are currently supported by product manufacturers. For the complete DTS:X experience, we recommend a speaker layout that includes height to experience a whole new level of immersion. What set-ups are possible with DTS:X? For the full DTS:X immersive experience, height speakers are needed, so you can start with 5.1.2 to a maximum of 7.1.4 at this time, based on our assessment of mainstream consumer platform capabilities. To get the most of out DTS:X, height speakers are key. In addition, keep in mind the flexibility of DTS:X. While specific locations are considered ‘nominal’ for general listening/reproduction, most speaker positions have a range that will provide excellent performance. Most importantly, make sure that every component in the system is DTS:X-capable/compatible. How should an installer (and in turn, the customer) make the most out of a DTS:X system? For all legacy content, set up the product to engage DTS Neural:X as the upmixer/spatial renderer of choice. This will provide best-in-class immersive audio for any/all legacy content. DTS:X has no specific requirements for special characteristics in speakers. As every room is different, we entrust the retailers and custom installers to specify the best solution to meet their customers’ requirements and those of the acoustic space to create the best listening experience for their clients. What are common questions installers and customers ask about setting up a DTS:X system? The most common question we receive is regarding speaker placement, direction and support: ‘Will DTS be creating its own reflective speaker specification?’ DTS is committed to bringing DTS:X to all price points and hardware configurations. While this method can be effective in some situations, in others it is not. It is not in our current plans to create a new reflective speaker specification, as the current one is already supported by DTS:X. There is no single answer to this question. Seating arrangement, driver characteristics and personal preference all contribute to what’s right for each person’s home. Traditionally speaking, the standard for critical listening is to utilise an on-axis speaker arrangement, which generally provides the best sonic performance. ‘What’s the best speaker layout for DTS:X?’ 7.1.4 will definitely provide the best ‘sonic spatial resolution’. That said, 5.1.2 still sounds incredible! Examples of products (for different budgets) that support DTS:X? BDP/4K BDP: DTS is included in the BD standard, which means that all BDP’s include support for bitstream passthrough (including DTS:X!). Most affordable AVR: Yamaha RX-V581. Additionally, a firmware update was announced this summer for: Onkyo TX-NR646 and Pioneer VSX-1131; Denon AVR-S710W. Which titles will be available in DTS:X this year on Blu-Ray? The following titles are available on Blu-ray: American Ultra, The Big Short, Crimson Peak, Daddy’s Home, Divergent (UHD), Ex Machina, Gods of Egypt, Gods of Egypt (3D), Gods of Egypt (UHD), Independence Day (UHD), Ip Man 3, Last Witch Hunter, Last Witch Hunter (UHD), London Has Fallen, Lone Survivor (UHD), Whiskey Tango Foxtrot, Zoolander 2, The Huntman: Winter War, The Huntman: Winter War (UHD) and Snow White & The Huntsman (UHD).